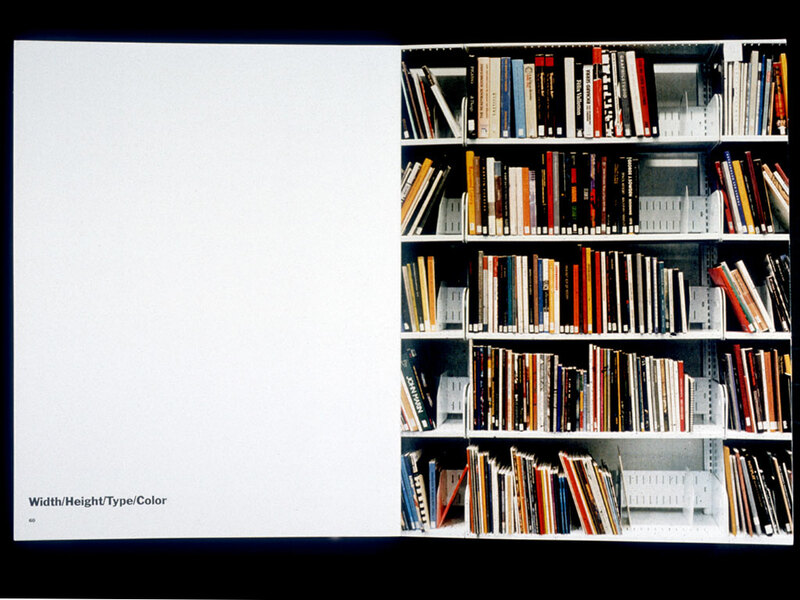 Unpublished book project, 28 x 21.6 cm [11 x 8 1/2 in. 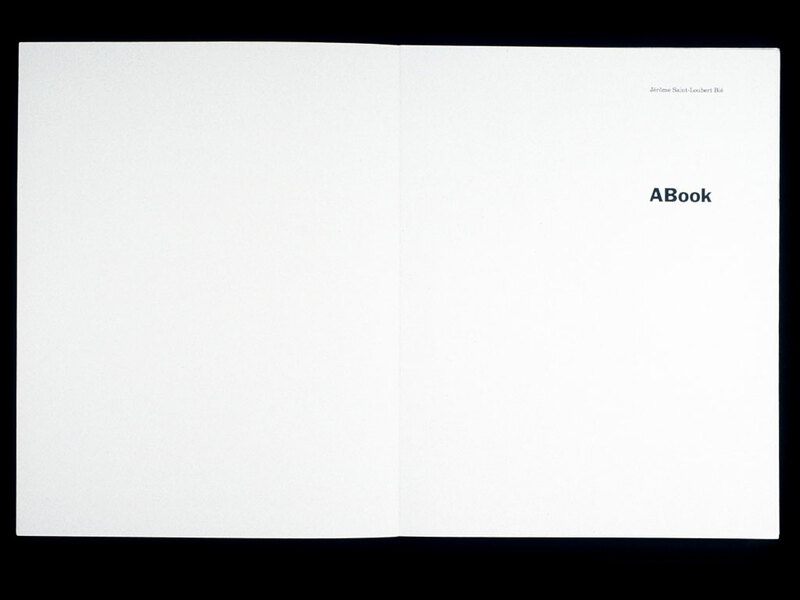 ], 64 pages. 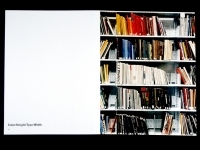 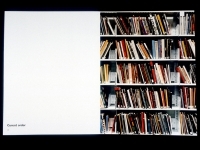 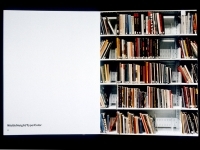 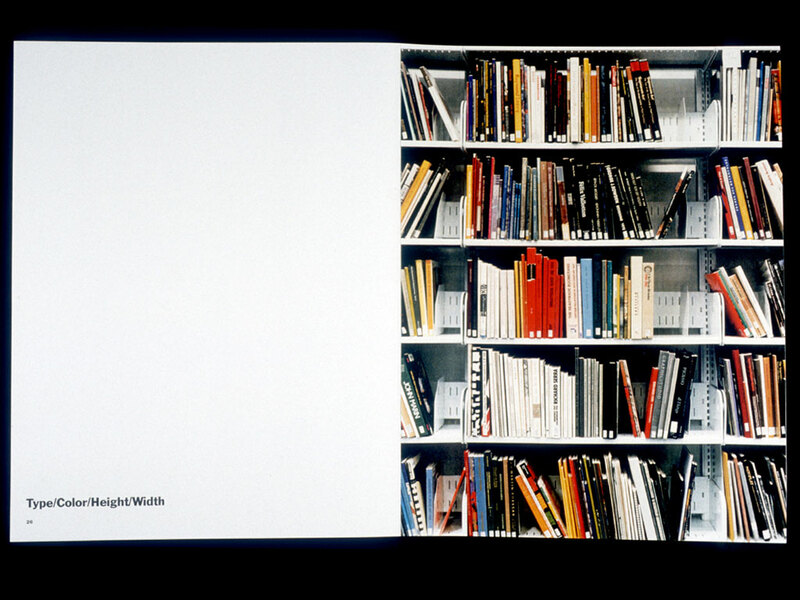 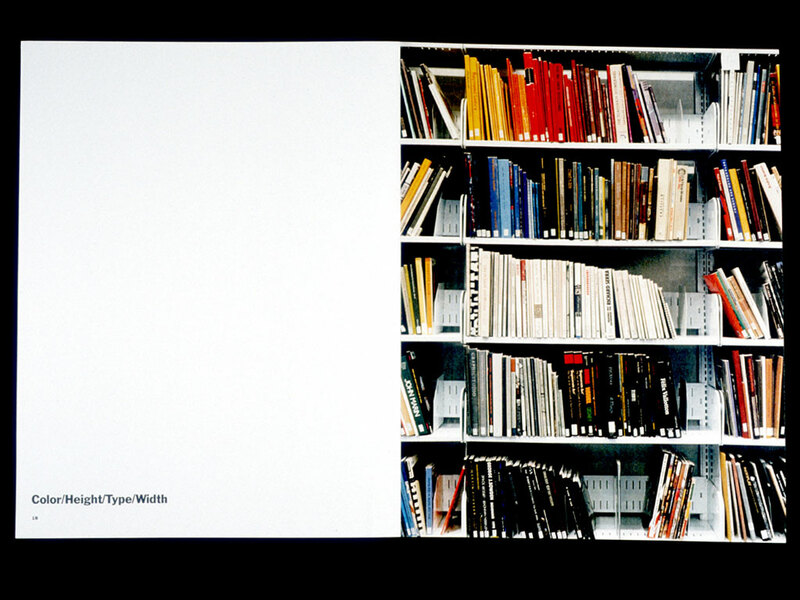 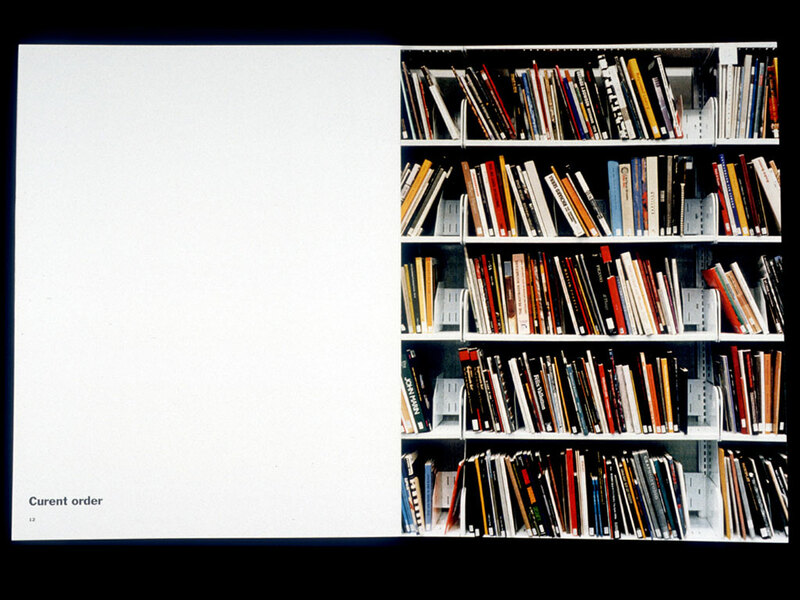 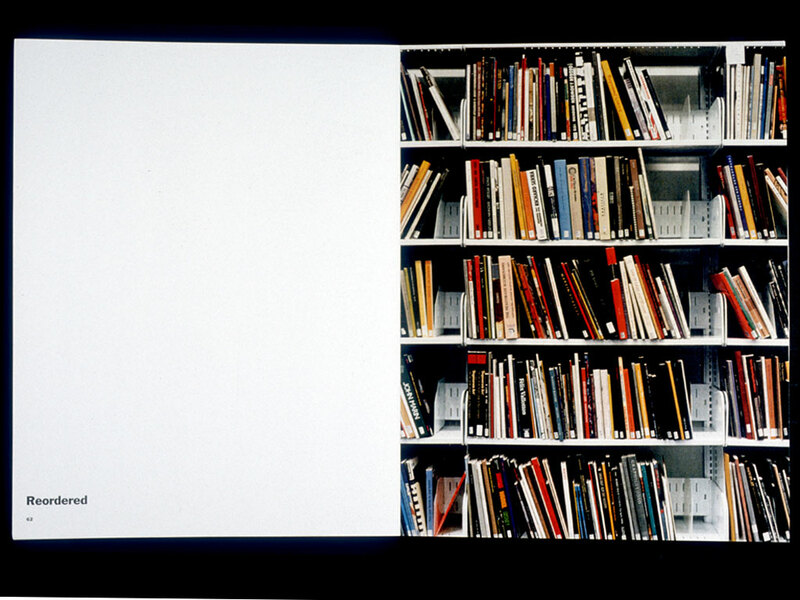 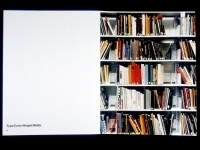 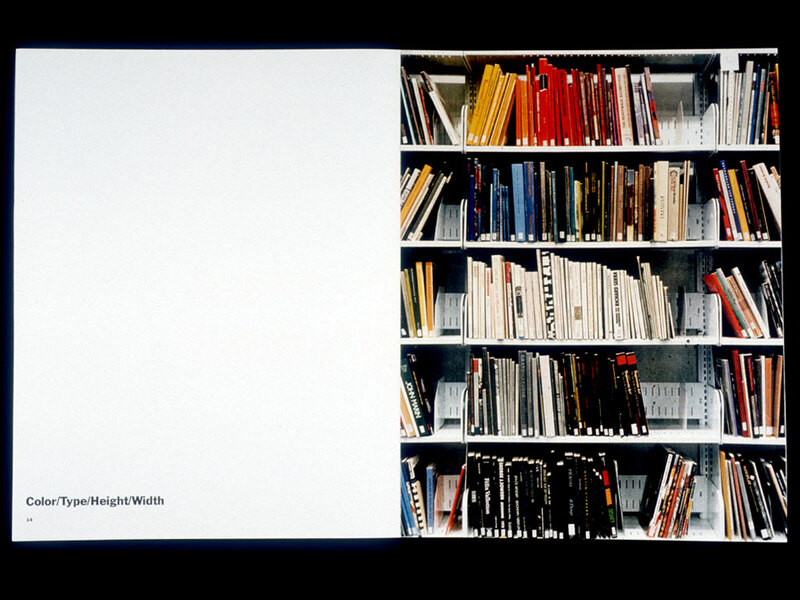 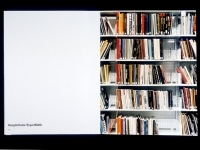 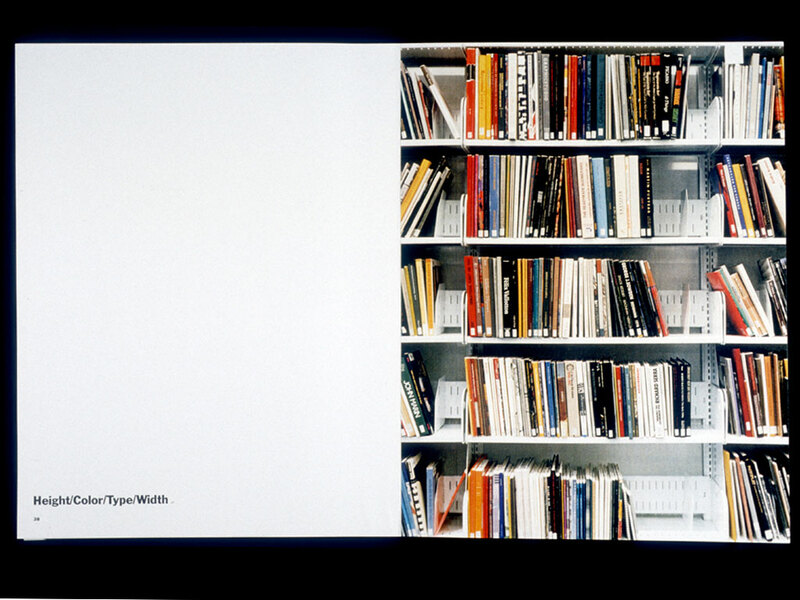 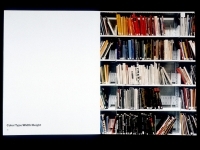 This book contains photographs of the exhibition catalog section of a library. 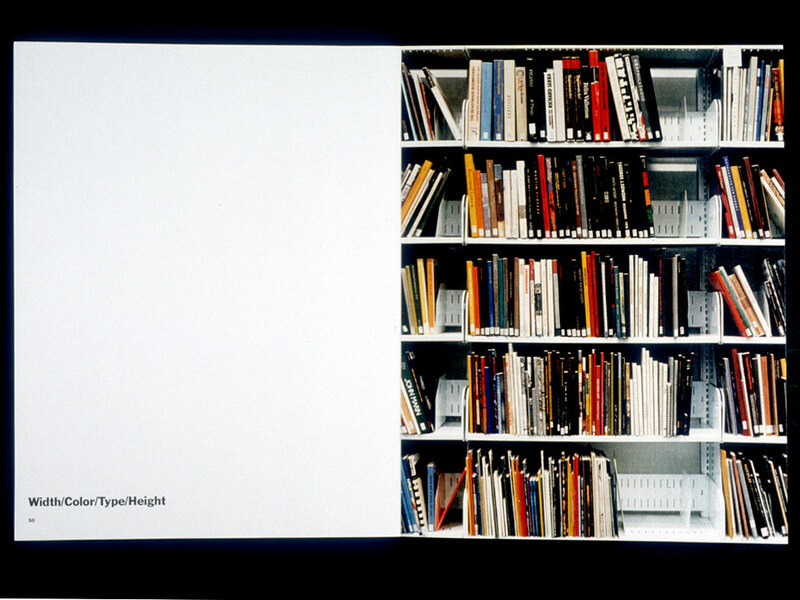 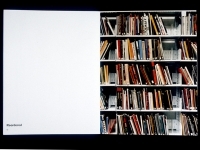 In each photograph, the shelves were rearranged according to the color of the cover, the color of the type on the spines, the height of the books, and their thickness. 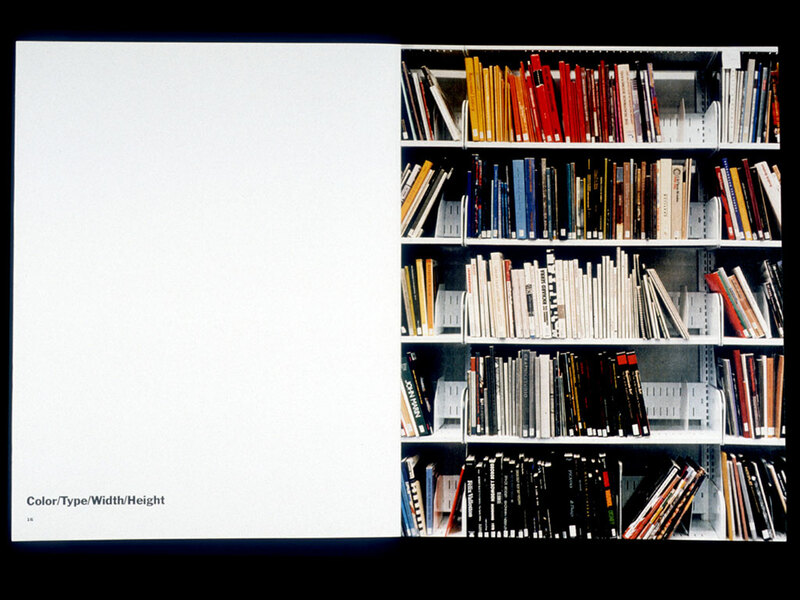 The permutation of these parameters gave 24 possible arrangements, each of which were photographed to constitute a book.